If you want a real boost in your search rankings you NEED Hi quality & high PR back-links.You’ll get :TOP 20 Do-follow PR 9-7 Backlinks​. 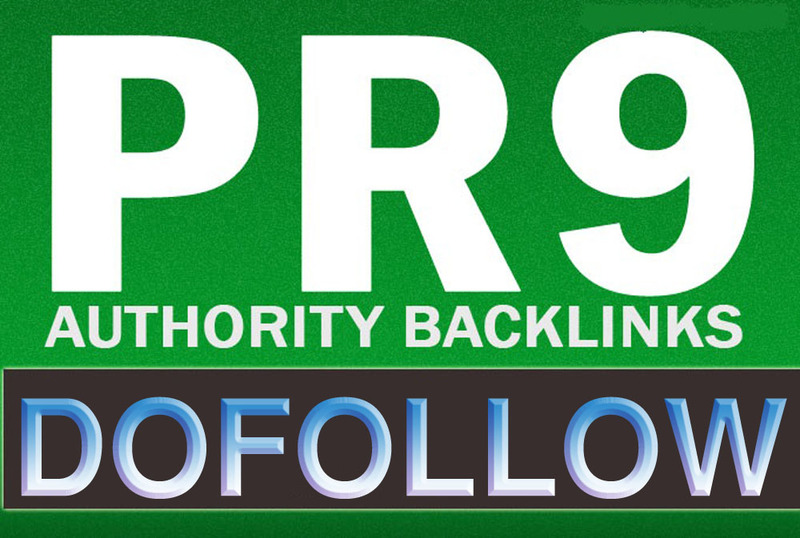 Here I will Provide 20 PR9 to PR6 DA 60+ Dofollow Profile links, Almost all links are from very High Domain Authority Collection to Boost Your Ranking… All Links are dofollow that will Increase your Link POPULARITY which DIRECTLY BOOST YOUR RANKINGS..
100% Panda & Penguin Safe!.High Pr backlinks are very Effective for SEO.Get this trusted backlinks to your site. Boost your Page Rank and SERP! Detailed excel REPORT with login data​​. Manually Create TOP 20 Dofollow Profile Backlinks to increase ranking is ranked 5 out of 5. Based on 23 user reviews.